Crusty browned sausage serves as the flavor boost here, a paleo-friendly meat and vegetable stuffing for Thanksgiving or and cool weather weekend dinner. We love Danielle Padula’s clever combination of sausage with a variety of vegetables, dried fruit, garlic, shallots, mushrooms, and white wine. Position rack in the center of the oven and heat to 350 degrees. 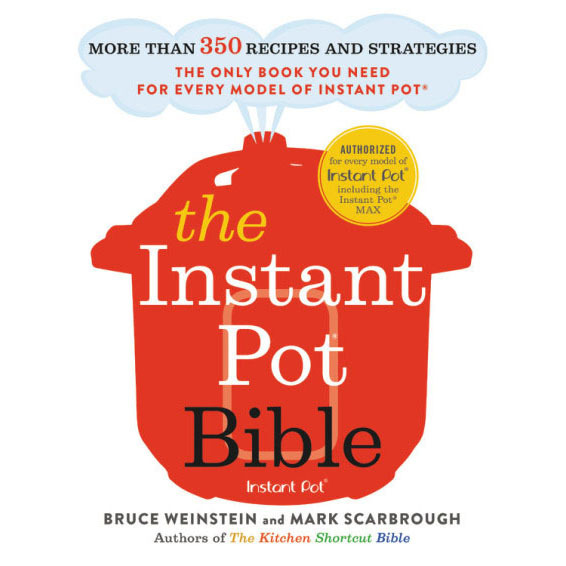 In a 12-inch skillet (either stainless steel or cast iron, please not non-stick), heat ½ Tbs. of olive oil over medium heat. Brown the sausage on all sides, about 3 minutes. Set sausage aside. Add 2 Tbs. of olive oil to already hot pan and add the cauliflower, celery, shallots, garlic, and a pinch of salt and pepper. Stir with a wooden spoon to prevent the garlic from burning while scraping brown bits from the bottom of the pan, about 3 minutes or until cauliflower is lightly golden in spots. 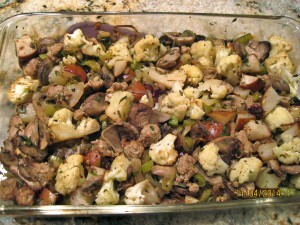 Transfer to a large baking dish (9” x 13” works well) and add the mushrooms, pear, cranberries, sausage, and herbs. Toss to fully combine. In a small bowl, whisk together the broth, wine and cider. Add broth mixture to the baking dish and toss to coat. Bake uncovered until pear is tender, about 45 minutes. Let sit for 5 minutes before serving. Great traditional flavor! The ingredient combination comes together nicely. I have made this for the past three years for my family, and they love it ! I am just about to make it again for tomorrow ‘s Thanksgiving Feast. This is a stuffing that won’t make you feel stuffed- just satisfied and happy. Thank you , Faith!